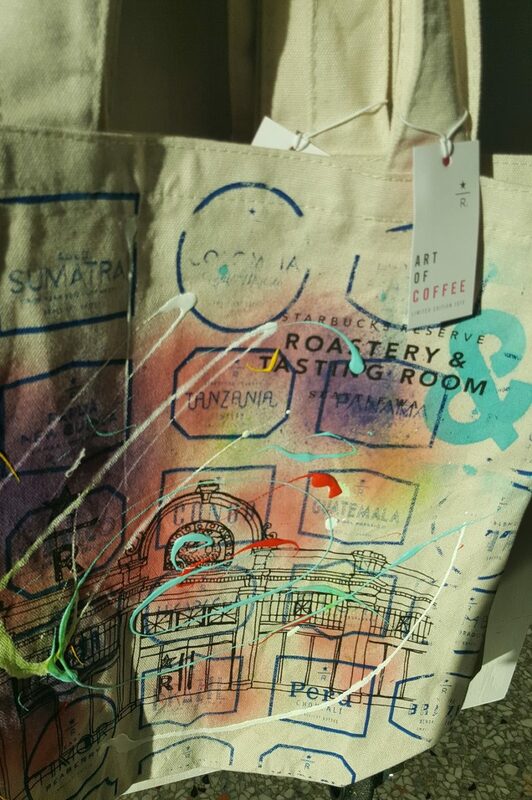 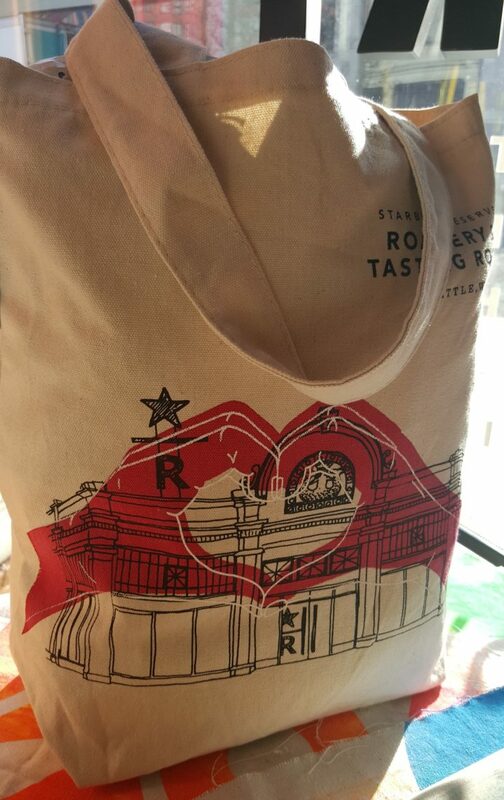 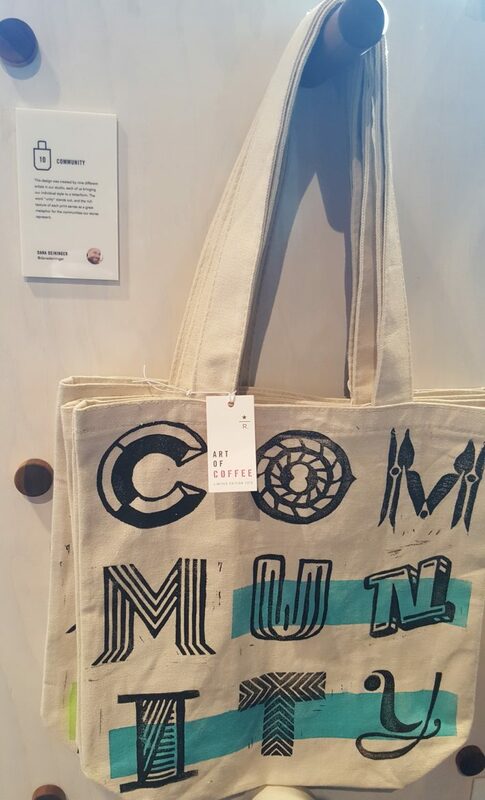 Starbucks asked their designers to make beautiful, coffee inspired Roastery tote bags. These are now available at the Roastery. 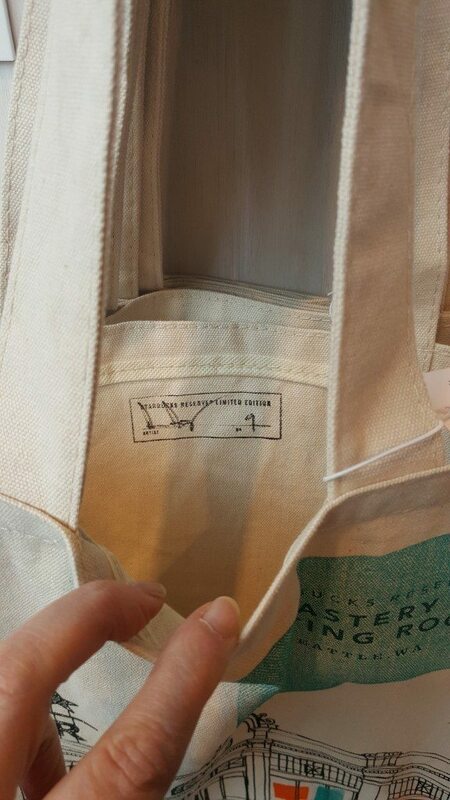 Each one is numbered and autographed by the designer. 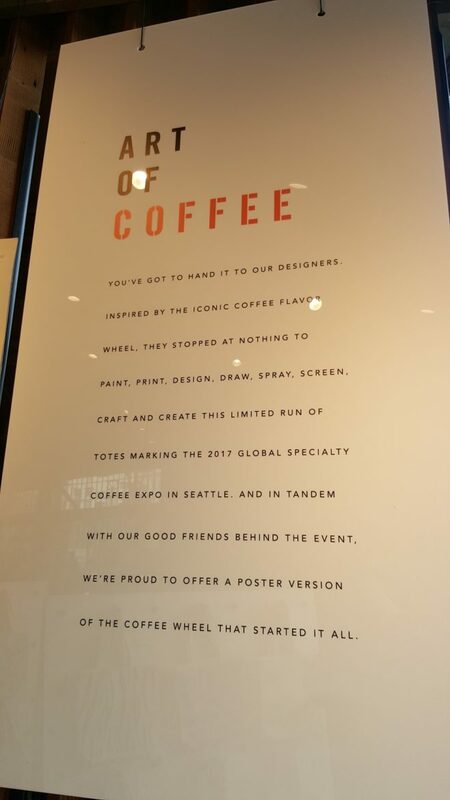 And each one is a little bit unique from the next. 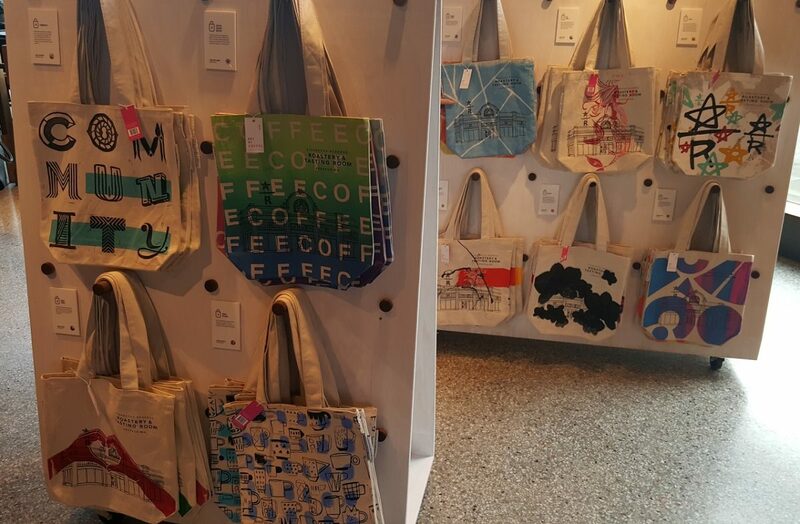 There’s an element of designed-by-hand in every one of these totes. 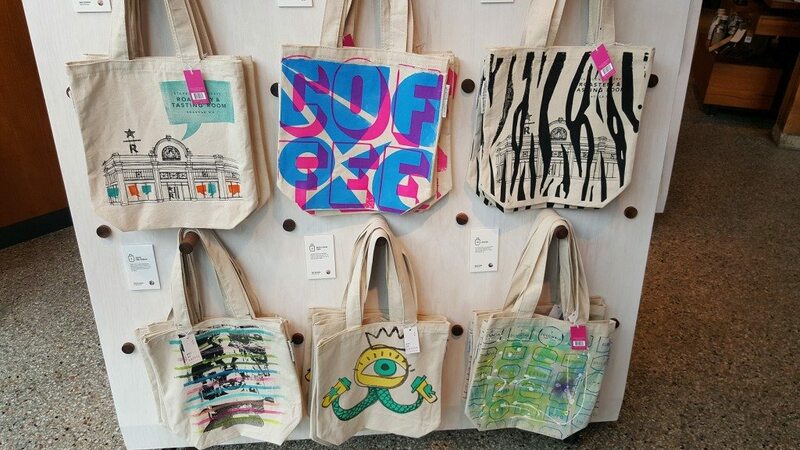 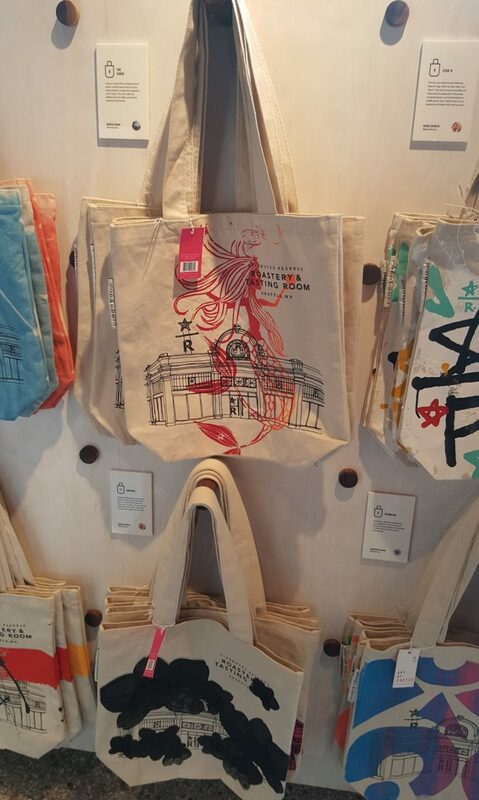 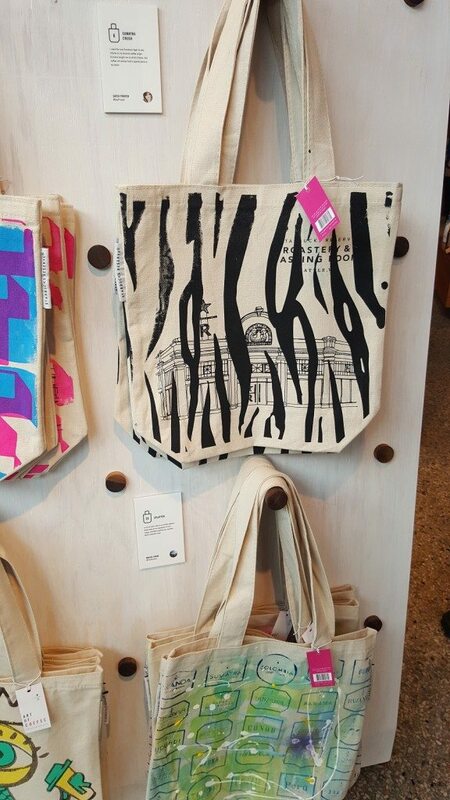 There are only 10 of each designer’s specially designed tote. 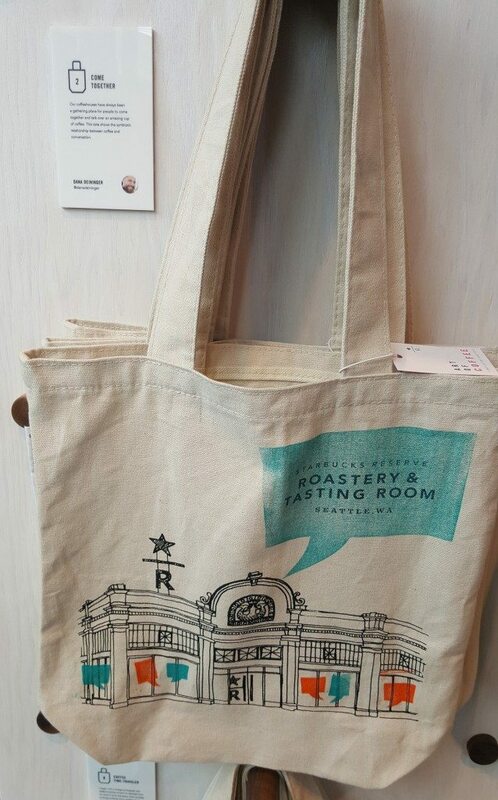 You’ll find them available for $59.95 each at the Roastery. 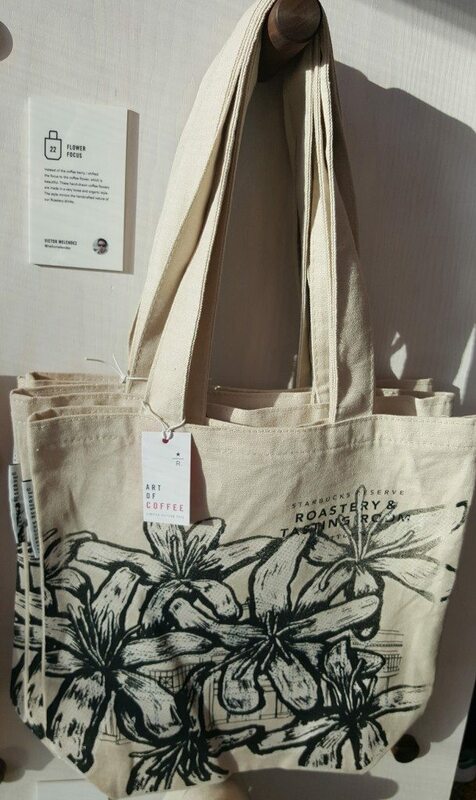 These above photos don’t do all the beautiful totes justice! Hope you get to visit the Roastery and see them in person. 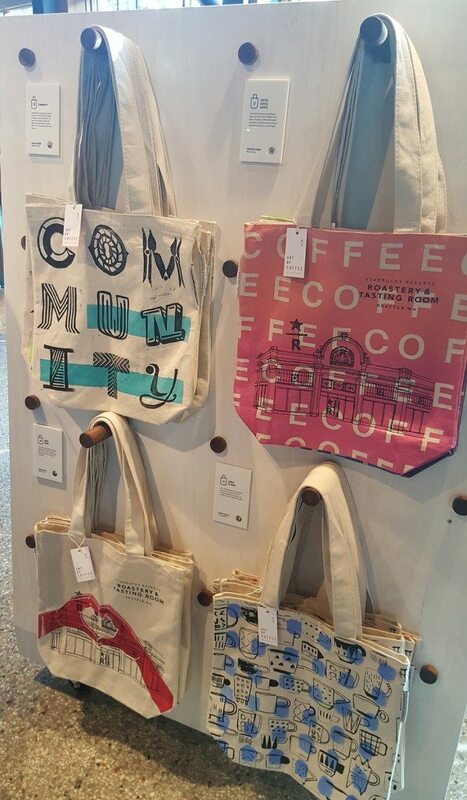 My favorite is the come together at the Roastery bag! 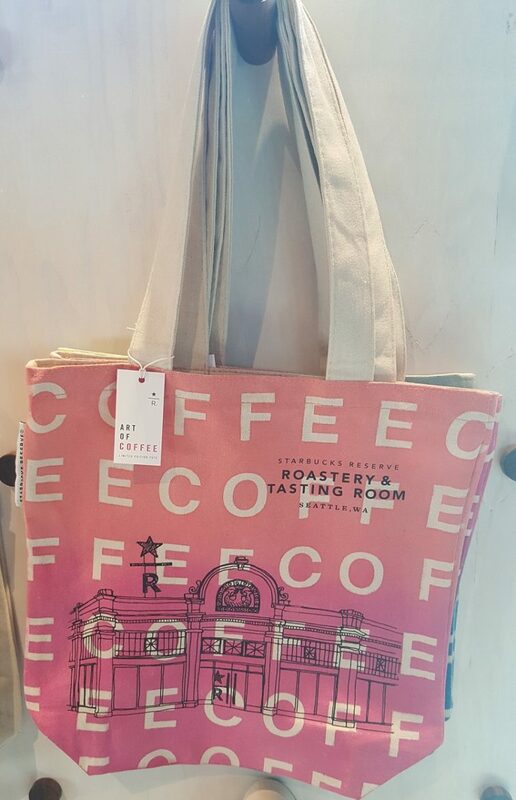 What about you, Melody?